You are here: Home / competitions / Win a BMW Ride on Car! Win a BMW Ride on Car! Okay so maybe you can’t go on this one yourself but you can live out your dreams watching your little one enjoying this car for hours on end! And with Christmas fast approaching what better time of year is there to win such a fantastic gift? I’m sure any little girl or boy would love to own one of these, it really is the cream of the crop of Christmas gifts! 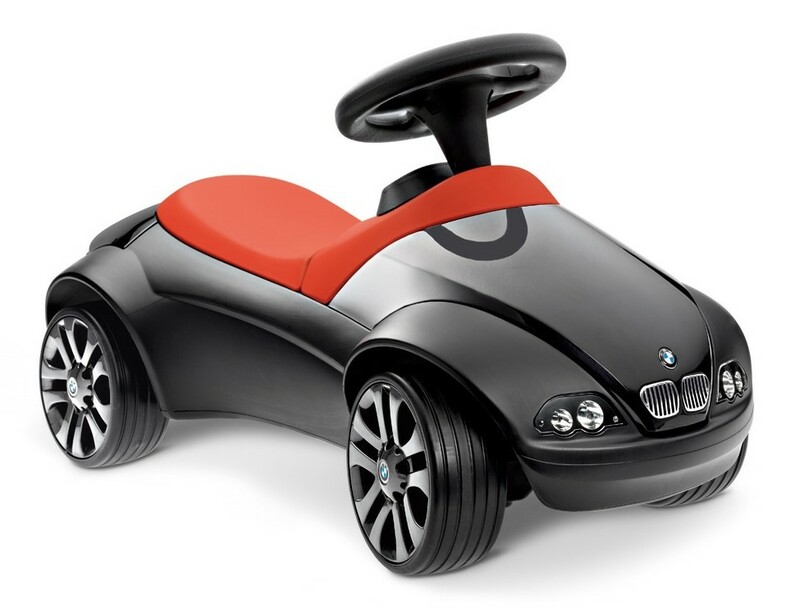 Suitable for ages 1 1/2 to 3 years, this ride on car is small enough to use indoors but also has thick noise reducing tyres so the neighbours won’t complain when used outside. Have you ever sat there listening to the hard plastic tyres of some ride on vehicles,running up and down, up and down the pavement? It can get a little, well, grating to say the least! The bright red seat is well padded so is extra comfortable. The bonus is that it’s also wipe clean so there is no worries about the messes and stickiness that usually accompanies children of this age! The car has been TUV approved so you can be assured it is safe and of high quality. I am really pleased to announce that this week I have been given the opportunity to team up with the well known car manufacturer BMW to give one lucky reader the chance to win this BMW ride on car. There are lot’s of ways to enter, even one you can do everyday, to increase your chances of winning. They are all very simple and straight forward. Wishing you all lot’s of luck! What a fab prize would love this for my nephew. Fingers crossed. Any of my boys would love this car, it looks fab! Leave a comment below telling me who this car would be for if you were lucky enough to win. I have three boys who would all be wishing they could go on this but I would let my youngest have it as the other two are too big! This would be for me to pedal to work on. I have needed a new car for ages. This would make a great gift to give to our nephew 🙂 great give away. I’m sure Jasmine would love this!! I would hopefully win this for my two year old son. He would love this. This would be fab for my son William! fab comp i want it i want it!! My grandson, 2 years old would love this but I don’t think it will be long before his baby sister is wanting a turn. Lovely car. I would give this to my grandson. he would love this. My little nephew, coming up to 2. He already pretends to drive his Dads car – if he won this I think Dad will want to drive his!! Would look cool next to my new 2 series. My best friends little boy. The car would be for my little daredevil niece, Ella. My friend’s little one – they’d love it!!! My Grandson. He would be over the moon. It would be for my partners nephew as he adores cars. janine atkin recently posted…NoteShel Review – An end to my notebook buying addiction? My eldest girl is a real tomboy, she would be over the moon to have this as there’s nothing pink and girly about it. This little car is so cool that I’d like to keep it just to admire – but I would relent and give it to the girls eventually. I would keep this for my Grandson, I’m sure his Daddy would take great pride pushing about on it! My nephew would be the lucky boy. Amazing prize! I would love to win for my little boys (3 and 2). I would give it to my youngest. My baby grandson Jasper would adore this. I know just the little lady that would love to ride this stylish car!! My daughter …. and then my friend’s children…. My son would just love this and his 7 little cousins would enjoy getting shots of it too.